A chatbot is basically marketing through Facebook Messenger. Our approach to marketing in general is to give value and teach our audience something useful before we ever sell. But the problem is that if I want to tell my friend to try out this chatbot and learn about cooking, or weight loss, or Facebook ads… how can you share in Facebook Messenger? 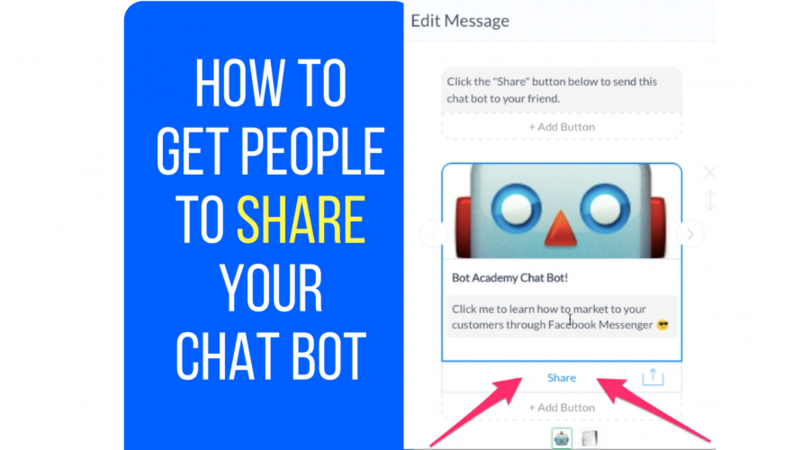 I want to show you just how easy it is to share the lessons you get through a chatbot. Take a look at the video above and we show you how we used it in our own bot!